Back in the day when my kids were little, I worked full time and volunteered with a youth group for several hours a week. It seemed like there was never enough time in the day, and I was often scrambling to get meals together. I dreamed of the day when I could retire and have plenty of time. Ha ha ha ha ha ha! Now that I am retired, it seems like I am either taking myself or my husband to a doctor appointment, taking the cats to the vet, folding laundry, sweeping floors, or whatever else needs to be done around the house. And by the time all of those things get done, I am quite pooped! I don’t feel like cooking a big meal, and Fabgrandpa doesn’t want to clean up after me. So what to do? Since he likes pizza, we do a pizza night at least once a week. 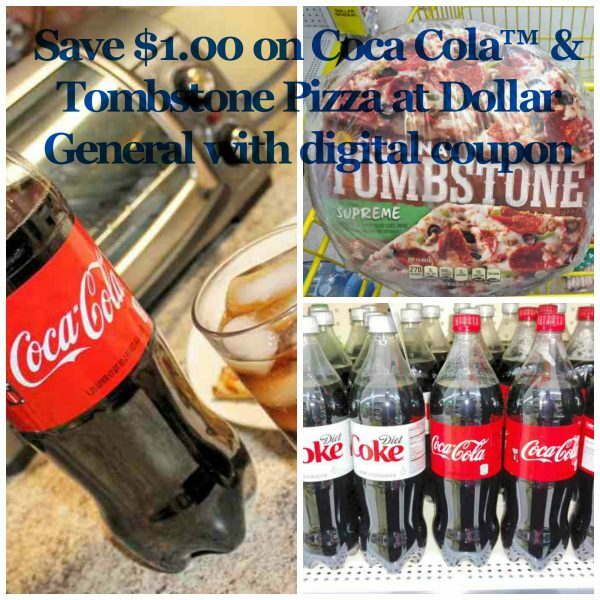 I can grab a 1.25 liter Coca Cola™ and a Tombstone Pizza at Dollar General for less than $5.00! I got a $1.00 off digital coupon at the Dollar General website , and saved even more! Thank goodness for Dollar General Easy Meals! Coca Cola 1.25 liter bottles can be found in the refrigerated section at Dollar General. 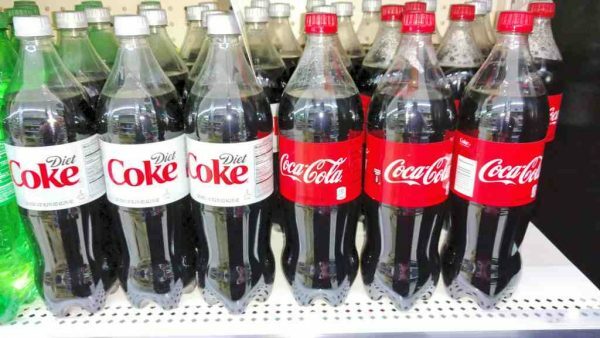 You can find Coca Cola in 1.25 liter bottles in the refrigerated section at Dollar General. Tombstone Pizza is right next door in the freezer, so picking them up is so easy! 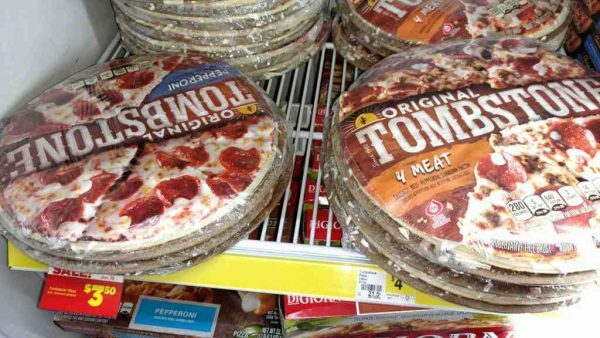 Tombstone Pizza is in the freezer section at Dollar General. Once you get them home, it is easy to prepare too!. I just preheat the oven, take the pizza out of the package, and place it directly on the middle shelf of the oven. It bakes up to a crispy crust. When it’s done, I take it out of the oven with a large spatula, and put it back on the cardboard that it came on. Cutting the pizza with a sharp knife or pizza cutter is easy to do since it is on the cardboard. Serve on a paper plate, and clean up is a breeze. Just toss the plates and cardboard in the trash, and wipe the counter. Coca Cola and Tombstone Pizza. Bake the pizza directly on the oven shelf, and place it back on the cardboard when it is done. 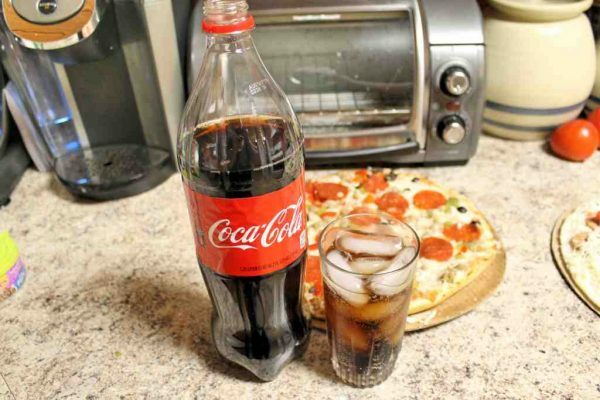 The man loves to have a glass of Coca Cola over ice with his pizza. Coca Cola served over ice is so delicious! 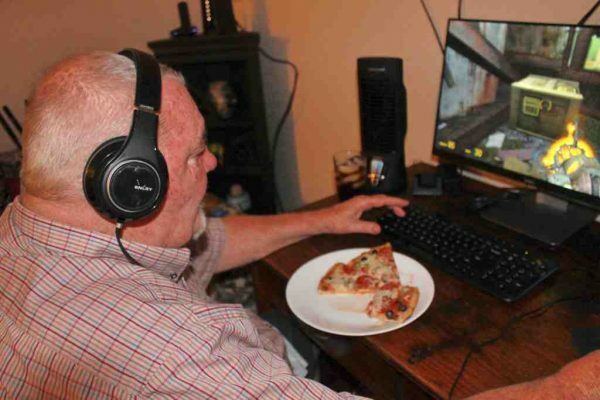 He is a gamer, so he sometimes eats his pizza sitting at his computer. Fabgrandpa multi-tasking at his computer! 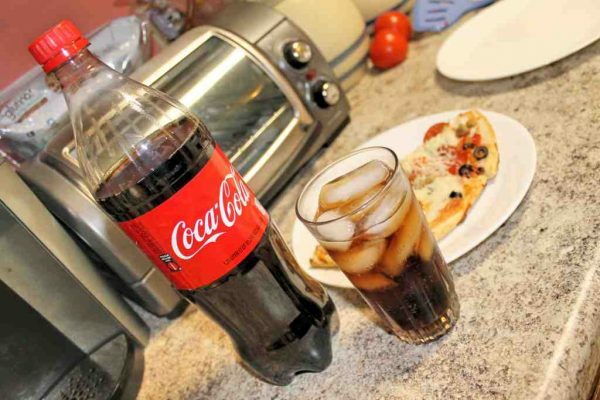 Next time you are out, stop in at Dollar General and pick up some Coca Cola 1.25 liter bottles and some Tombstone Pizzas for Easy Meals to have on hand for those days when retirement gets hectic! Don’t forget to use that $1.00 off digital coupon! My mom thought the same thing–that when us kids were all out of the house surely she wouldn’t be so busy-crazy all the time. She hasn’t slowed down a bit yet either! Thank goodness for delicious, affordable meals for all our crazy lives!